At our live event, Richard spoke about how the early days of ICOs were infused with idealism. With blockchain, we could democratize fundraising! Everyone could invest in blockchain projects that they cared about! In this spirit, many early ICOs were set up as nonprofit foundations for the public good. 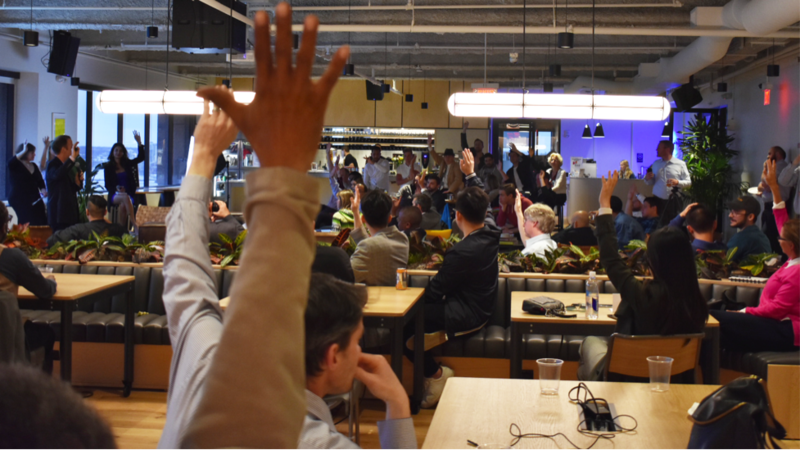 Think of security tokens as “smart stocks,” because they can be programmed to do different things—like helping shareholders communicate with each other more easily, or streamlining shareholder voting. Just as smart contracts improve on paper contracts, smart stocks improve on paper stocks. 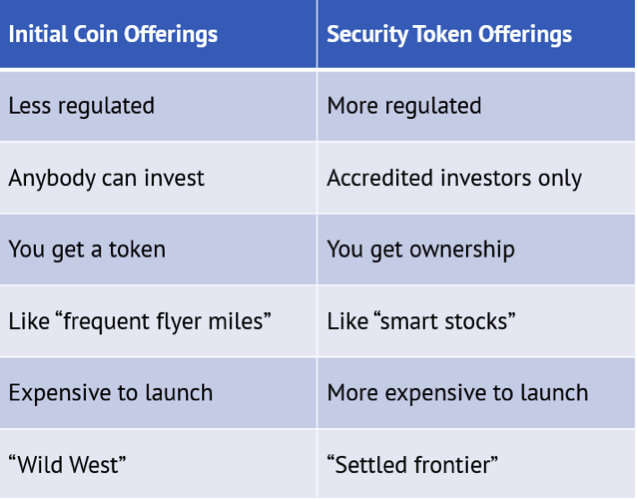 Security Token Offerings may replace Initial Coin Offerings, because as an investor, they let you actually own something. Let’s unpack an example to see how it might play out. The traditional tech fundraising model goes like this: an entrepeneur gets a little seed money from an angel investor, builds a prototype, then gets subsequent rounds of funding from VC firms, each time growing the company and the valuation, until finally she launches an Initial Public Offering. Think about how this will revolutionize Wall Street! With traditional IPOs, shares are priced so that early investors can quickly sell out their shares at a profit—and many do. With this Security Token model, we have security (hence the name) that everyone is getting the market price. If you want to help this vision become a reality, join our open-source token project. This is a radically better way of doing public stock offerings. Smarter stocks, indeed.